Mental health assessment software startup Blueprint (fka HelloJoy) raises $1.3 million in a seed round led by Lightbank and Hyde Park Angels. The Chicago-based startup has developed a patient-facing app that collects and analyzes patient information, including sleep, movement, and exercise data from phone sensors, combines it with patient assessments, and then delivers those datasets to providers so that they can develop tailored care plans. Founder Danny Freed has dabbled in app-based data-collection before. He developed the Companion app while at the University of Michigan to help users keep track of family and friends as they walked home alone late at night. The local paper looks at the impact noncompete clauses have on the patients of physicians who leave hospital employment to work for themselves or a medical group, noting that nearly half of 2,000 physicians surveyed across five states are bound by such agreements. Continuity of care seems to be thrown out the window in favor of legally binding business arrangements that prevent physicians from working within a certain radius of their old employer, and/or seeing former patients – a situation that leaves many patients feeling abandoned and afraid. PCG Software launches a cloud-based, real-time claims and billing review subscription service for physician practices. EZClaim adds Alpha II’s ClaimStaker clinical claim and encounter scrubbing technology to its medical billing and scheduling software. Behavioral health-focused Aligned Telehealth promotes Miles Kramer to chief development officer. A new report from Fair Health finds that traditional care settings are still more popular than headlines and VC funding would have you believe. While utilization of telemedicine, retail clinics, urgent care facilities, and ambulatory surgery centers have increased, ERs still topped the list of access points outside of office settings. 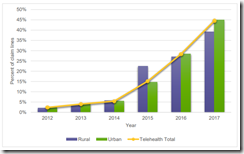 Telemedicine had the biggest increase – 53 percent – overall. Going to the mattresses (sort of): Staffers in the technology and healthcare industries with low levels of sleep satisfaction are almost assuredly looking for other job opportunities, according to data from an online mattress company. Perhaps a new mattress is just the perk your burnt out employee needs to keep them from taking the leap. Y’all know I love a good library story: This article highlights the cool ways libraries across the country are catering to the tastes and needs of their patrons. When it comes to healthcare, many are going above and beyond making Dr. Google available in the computer lab. 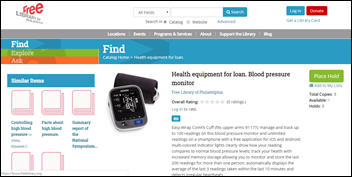 The Free Library of Philadelphia loans out blood pressure monitors and helps patrons access community-based resources. Nurses and social workers are also on site every day. The Miami Library in Oklahoma has incorporated diabetes prevention, yoga, and cooking classes into its stacks; and has added a community garden. And while not strictly related to healthcare, the Duluth Public Library in Minnesota offers a seed library for gardeners, who keep the resource sustainable by returning their harvested seeds to the collection. AdvancedMD will exhibit at the American Society of Addiction Medicine meeting April 4-7 in Orlando. Aprima will exhibit at the CORHIO Forum April 4-5 in Denver. 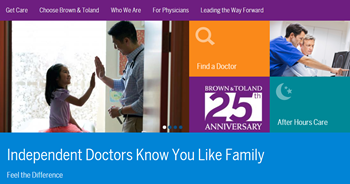 San Francisco-based independent physician network Brown & Toland Physicians selects Epic’s ambulatory software. And speaking of Epic, it looks like the Verona, WI-based company has finally made its first acquisition, snatching up Fitbit on the advice of new financial advisor Jim Cramer. Practice Velocity adds chronic problem management features to its EHR for urgent care and primary care providers. 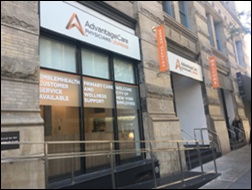 AdvantageCare Physicians (NY) will integrate HealthReveal’s AI-powered clinical decision support tool with its Epic system across all of its sites within the next two months. Hematology Oncology of Indiana joins practice management company American Oncology Network. OneOncology names Lee Schwartzberg, MD (West Cancer Center) CMO. Care management software vendor TCS Healthcare Technologies promotes Deborah Keller, RN to CEO. Florida’s Department of Children and Families will leverage data collection, assessment, hosting, and support services from FEI Systems to improve its opioid-response initiatives. DrChrono adds Beam Health Group’s telemedicine functionality to its EHR. Urologists working in private practice are down 2 percent from the year before to 57 percent. 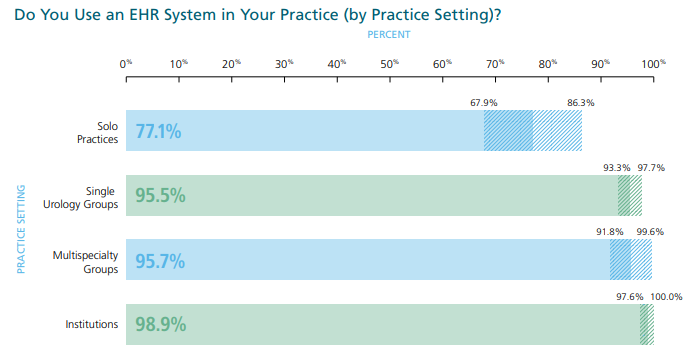 Nearly 100 percent now use an EHR in their practice; outliers include men 45 and older and those working in solo practices. 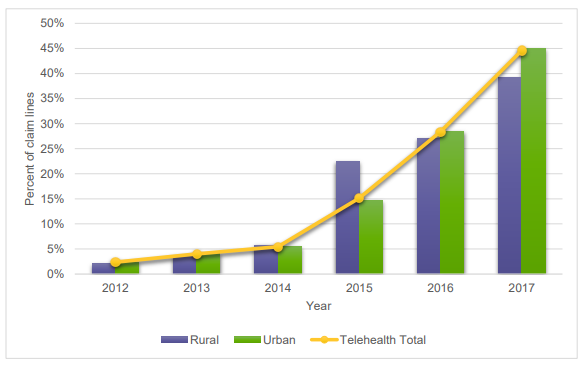 Less than 12 percent have utilized telemedicine within the last year; the majority of those who have believe their utilization will increase over the next three years. Nordic will present at the Quality of Care Outcomes Research Scientific Sessions April 5-6 in Arlington, VA. Patient check-in technology vendor Clearwave raises an undisclosed amount of money from Frontier Capital. The company had raised over $5 million before this particular round of financing. HGP served as Clearwave’s advisor for the deal. EHR and practice management vendor InSync Healthcare Solutions hires Zack Kilburn (CareCentrix) as CTO. With help from Pivot Point Consulting, Acumen Physician Solutions adds legacy data archiving technology powered by SMART on FHIR from Trinisys to its Acumen 2.0 powered by Epic software for nephrology practices. 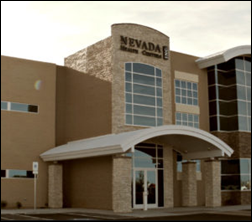 FQHC Nevada Health Centers contracts with VisuWell for telemedicine services across its 24 offices, school-based clinics, and mobile health programs. 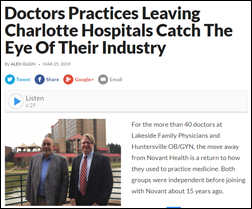 All eyes are on Charlotte, NC as hospital-owned physician practices around the country wait to see how former Atrium Health and Novant Health medical groups fare now that they’ve declared their independence. 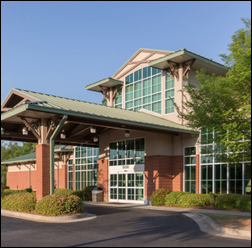 Physicians with the former Atrium-owned Mecklenburg Medical Group have gone on to form Tryon Medical Group, while over 40 former Novant providers have joined Tennessee-based Holston Medical Group – a move some say is not unlike signing on with a health system. Both offer access to capital, technology, and management infrastructure. Holston Medical Group provider Ehab Sharawy, MD adds that patients will benefit from more personalized care and lower costs, due to the fact that the now-independent physicians no longer feel pressured to send their patients to higher-cost hospital facilities. 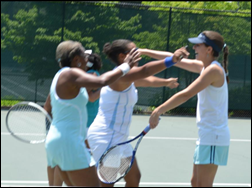 I know parents will appreciate this: CampDoc adds facial-recognition and photo-sharing capabilities from Waldo Photos to its EHR and online registration software for camps. Parents can now log in to the CampDoc system and view images of their child, or sign up to receive them via text. Culbert Healthcare Solutions will exhibit at AMGA March 27-30 in National Harbor, MD. Urgent and primary care company American Family Care offers up to $30 million in financing from ApplePie Capital to new and existing franchisees. The company, which also offers occupational medicine, operates its 180 clinics across the country on DocuTap’s EHR and practice management software. Hudson Physicians (MN) hires Matt Brandt (Multicare Associates) as its first CEO. Brandt says his top priorities will be renovations and technology upgrades across the six-facility, independent practice. In Georgia, Resurgens Orthopaedics implements Notable Health’s automated administration tools across its 24 practices. The Orthopaedic Institute Surgery Center (IL) selects Surgical Spotlight analytics software from ORhub. Good News Clinics (GA) will connect to Northeast Georgia Health System’s Epic software thanks to a $100,000 grant from local foundations. Texas-based HIE HASA selects patient-matching software from 4medica. Seattle-based Clocktree launches a service that helps patients find telemedicine services in the areas of mental health, therapy, addiction counseling, and nutrition. It launched a provider-facing version of its services in 2017. The company includes several former Microsoft programmers, including co-founder and CTO David Chalmers, who wrote the code for the now infamous “control-alt-delete” command. Since opening his practice in 2009, he has shared his number with 769 patients plus hundreds more from urgent care visits. Less than 20 percent of his patients texted him last year. He received 2,097 texts from patients in 2018. Of the patients that did text him, 80 percent sent fewer than 20 messages. 3 percent sent more than 100. 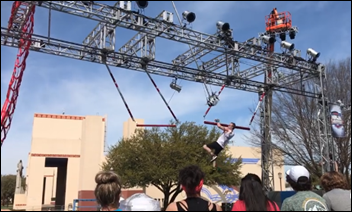 PerfectServe will exhibit at the AMGA 2019 Annual Conference March 27-30 in National Harbor, MD.